Former PNB dancer Olivier Wevers founded contemporary dance company Whim W’Him with the grassroots support of colleagues and friends. Ten years later, he’s one of the most influential choreographers in the region. 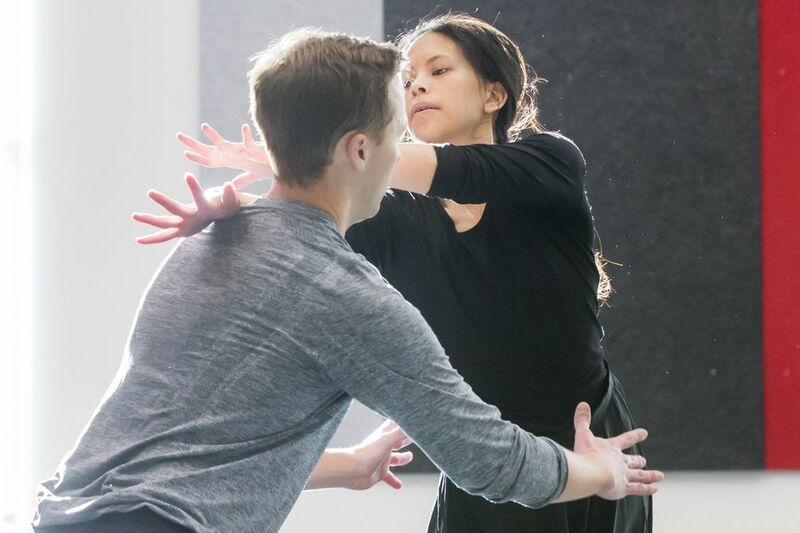 When choreographer Olivier Wevers was just 14 years old, he lost interest in dance. 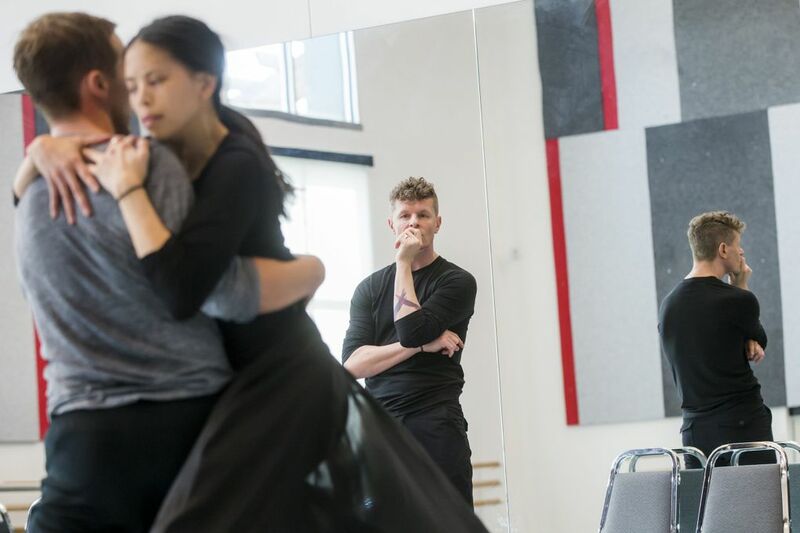 For those familiar with Wevers’ work — both as a former principal dancer at Pacific Northwest Ballet and the founder and artistic director of contemporary dance company Whim W’Him — that’s hard to believe. 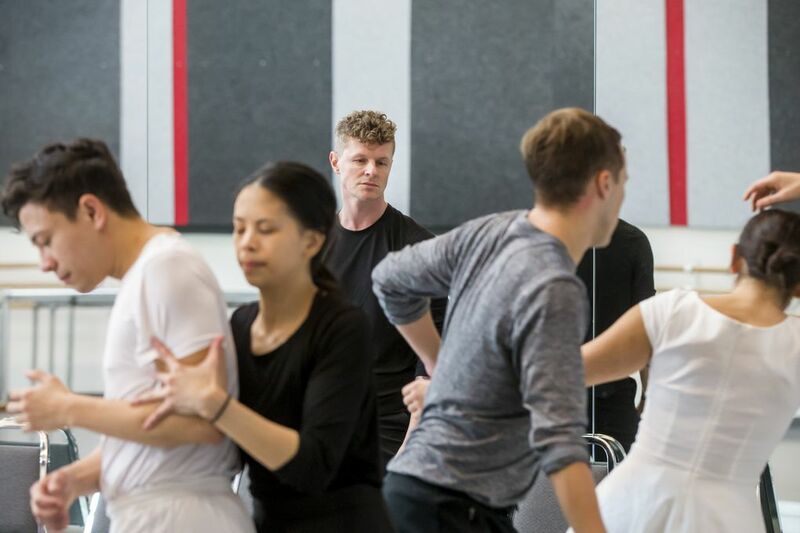 The Brussels-born artist has graced the stage at McCaw Hall in some of classical ballet’s most coveted roles (Romeo, Prince Florimund in “Sleeping Beauty” and Prince Siegfried in “Swan Lake”), and he’s won numerous awards for his choreographic prowess. This year marks a decade since Wevers launched Whim W’Him, and in those 10 years, he has created a beloved company that readily serves as a platform for local, national and international choreographers, and is also one of the very few Seattle dance companies that offer full-time (more than 30 weeks) employment with benefits to its dancers. Wevers has also impacted the local dance scene through his innovative exploration of movement and tireless championing of the arts. Before landing in America in 1991, Wevers was a discouraged teenage dancer taking classes at a neighborhood ballet school in Brussels. Rather than take the teacher’s advice to heart, Wevers’ family decided to try another option. They took Olivier to the Karys Dance Center, where founder Nicole Karys put him into partnering classes, and despite being shorter and smaller than most of the girls, the young Wevers picked up an affinity for the pas de deux — a skill that sits deep at the heart of his choreography. 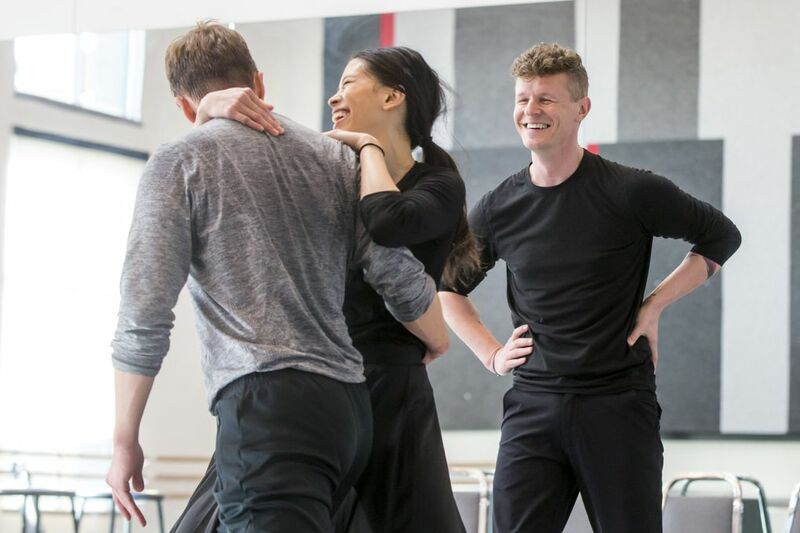 No Wevers piece is complete without the inevitable entwining of two or three (or more) dancers into a seemingly electrically charged force of emotion. During his 14 seasons at PNB, Wevers created a dozen works, both for the company’s yearly Choreographer’s Showcase and as commissions for other companies. By the late-aughts, he was ready to strike out on his own. Whim W’Him officially incorporated in January 2009, but the first show wasn’t until January of the next year. Wevers spent the time in between fundraising, assembling a board and finding dancers: an ad hoc mix of talent from PNB, Spectrum Dance Theatre and other smaller troupes. They practiced at off-hours, maneuvering around the seasonal scheduling of two major companies. Whim W’Him’s first evening-length show was at On the Boards. The bill consisted of three pieces choreographed by Wevers — one world premiere and two pieces that had been created for PNB and Spectrum in previous years. That first show was a hit, garnering positive reviews from both local critics and dance enthusiasts. Drawing on his years of classical training and a love for testing the limits of the body, Wevers was forging his way past the boundaries of ballet into a less restrained terrain of dance. It’s a path he’s still on, and anyone who has followed his work from the beginning can point out the refinement of his movement vocabulary and the lasting emotional impact of his creations. His choreography traffics successfully between humor, darkness, sadness and joy with equal aplomb. One of the company’s strengths lies in its unique mix of dancers, each of whom bring a different kind of physicality (and personality) to the stage. Wevers plays to this, setting up pieces chock full of intricate choreography that sees each limb or movement transitioning from one position to the next with a mix of grace and power. His use of props, set design and facial expressions punctuate most pieces, adding richness and visual depth. A decade (and more than 30 works) later, Wevers is a bastion for the Seattle dance scene. He’s won a handful of international awards, including the prestigious Princess Grace Choreography Fellowship in 2011, and brought in 28 guest choreographers (from locals such as Kate Wallich and Mark Haim to international names including Annabelle Lopez Ochoa and Danielle Agami) to work with his dancers. It’s a boon to audiences: Wevers is giving them access to global talent they otherwise couldn’t see without traveling out of state. Aside from bringing in new choreographers, Wevers has had a strong aesthetic impact on the local dance community — his work has the structural underpinnings of classic technique, but his movement is distinctive and fresh, the raw feeling and dancer interactions laid out on the stage to fully expose the depth and layer of what it means to be human. Ever since the company’s launch, nods to Wevers’ work (both choreographically and thematically) have been noticeable in others’ pieces. Although Wevers’ dancers have changed several times over the years, the spirit of his work remains the same. He isn’t afraid to explore hot-button topics (gun violence, immigration, religion, death) in hopes that they will spark productive conversation across cultural and political lines. His next show running Feb. 23-24, presented with Seattle Baroque Orchestra, is “Stabat Mater,” a piece based on the 13th-century Latin hymn about the suffering of the Virgin Mary at the Crucifixion. It’s a challenging work featuring four Whim W’Him dancers, eight musicians and two singers. The choreography is Wevers at his best: a full range of loose and fluid motion, seemingly effortless partnering, and shot through with feeling. 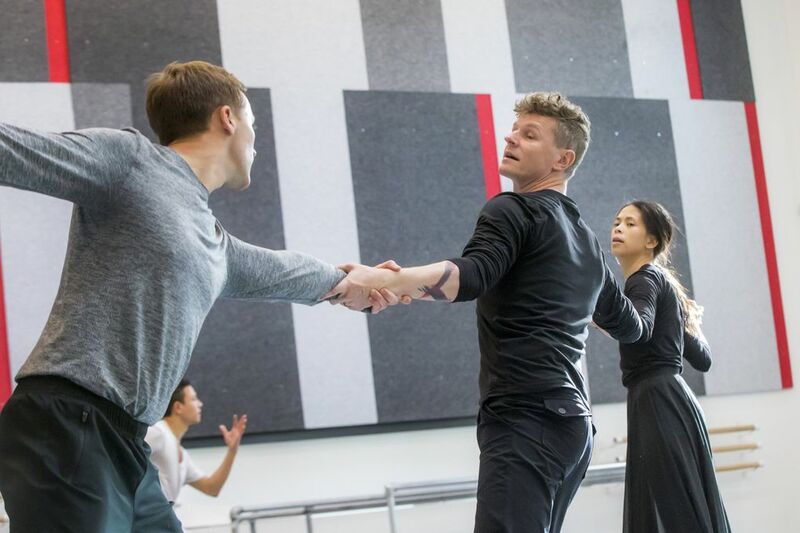 “Stabat Mater” is the second-to-last performance of the company’s season (“This is Not The Little Prince,” an evening-length work choreographed by Wevers, opens in June), but Wevers is already thinking about the decade to come. His mind is restless and brimming with ideas. He hopes to someday have 10 full-time dancers, and wants to continue introducing Seattle to new choreographers. Despite the constant struggle to raise enough money and get people in the seats for shows, Wevers feels strongly that it’s a cause worth fighting for. “Stabat Mater,” 7:30 p.m. Saturday, Feb. 23, and 2:30 p.m. Sunday, Feb. 24; Shorecrest Performing Arts Center at Shorecrest High School, 15343 25th Ave N.E., Shoreline; $30-$45; 206-325-7066, earlymusicseattle.org. Rachel Gallaher is a Seattle-based editor and writer.